LiLoPe: There's always room for Cookiez! 1. Preheat oven to 175 degrees C (350 degrees F.) In a separate bowl mix together the flour and the baking soda, set aside. 2. Take a large bowl and cream together the butter, brown sugar and white sugar. Beat in the instant pudding mix until blended. Stir in the eggs and vanilla extract. Blend in the flour mixture. Stir in the chocolate chunks. 3. 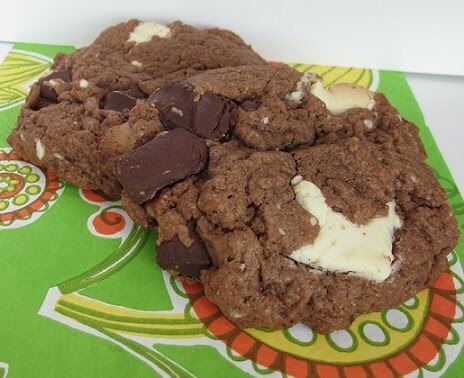 Use two tablespoons to drop dough on bakery paper covered cookie sheet. 4. Bake for about 12 minutes in the preheated oven. 5. Let the cookies cool of on a rack. 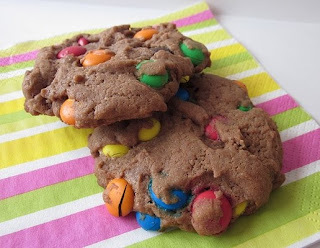 I tend to use dark chocolate but you can use what ever you like :) The other day I made these cookies and I used instant chocolate pudding mix instead of vanilla and I put M&M's in one part of the dough..
Z'omg They look Fantastic !! !